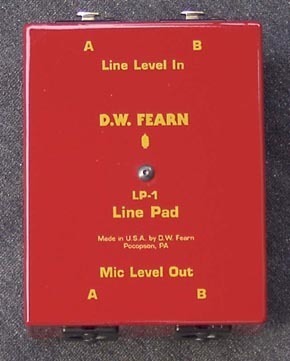 The D.W. Fearn LP-1 is a very effective tool in the studio and for live performance situations for matching line level signals to mic input level impedance, essentially enabling the line signal into the mixer mic input. Can be used in reverse for other needs as well. Dual mono channel signal paths, i.e., channel A and B.